When a city is populated by art pieces and a stroll around the city makes you feel as though you were savouring a banquet of rich and varied artistic tastes, you know it is the place where art is gratefully valued and appreciated. 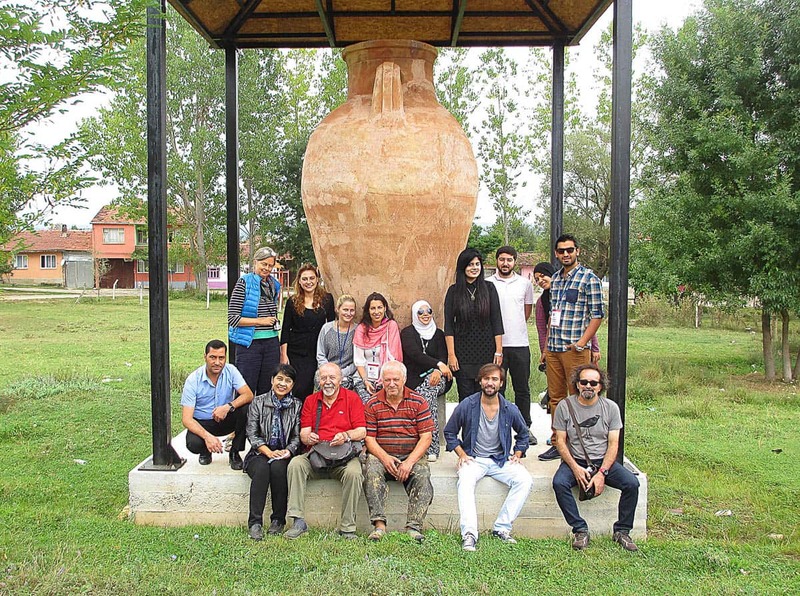 That remarkable city is Eskişehir, a city in the southeast of Istanbul, Turkey, where the International Terra Cotta Symposium was held for the tenth time. 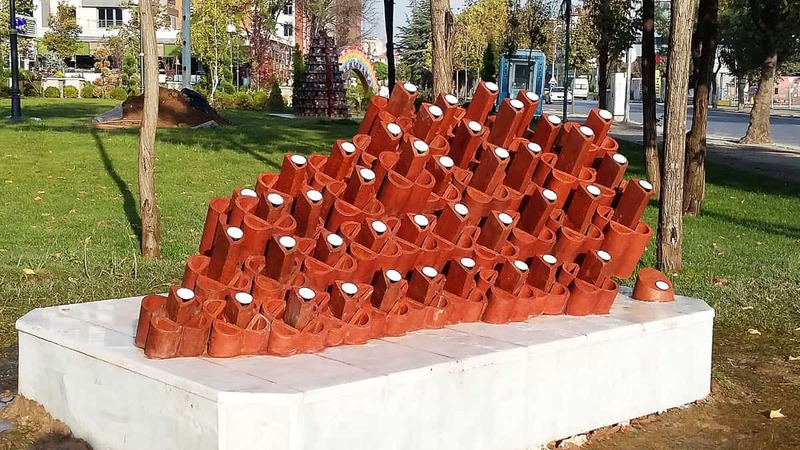 In Eskisehir, which literally means “old town,” well-known terracotta and large brick factories can be found, as well as the famous white stone called Meerschaum. When I went there, the city was adorned with ceramic sculptures everywhere. The opening ceremony was impressive: all artists received big tool boxes with their names inscribed on the lids, together with some caps, T- shirts and aprons. It was enjoyable to meet international artists from Argentina, Germany, Australia, France and Turkey, some of whom I have already known from other workshop in other countries. All of us eventually became good friends. To participate in this event, I was asked to send the sketch and the concept of the work two months in advance. My inspiration came from the Thai orchid, the flower we use to welcome visitors, which symbolizes a good relationship between two countries. I chose Rhynchostylis gigantea as the representative orchid type, because of their linear shape which was practical to transfer to brick design. 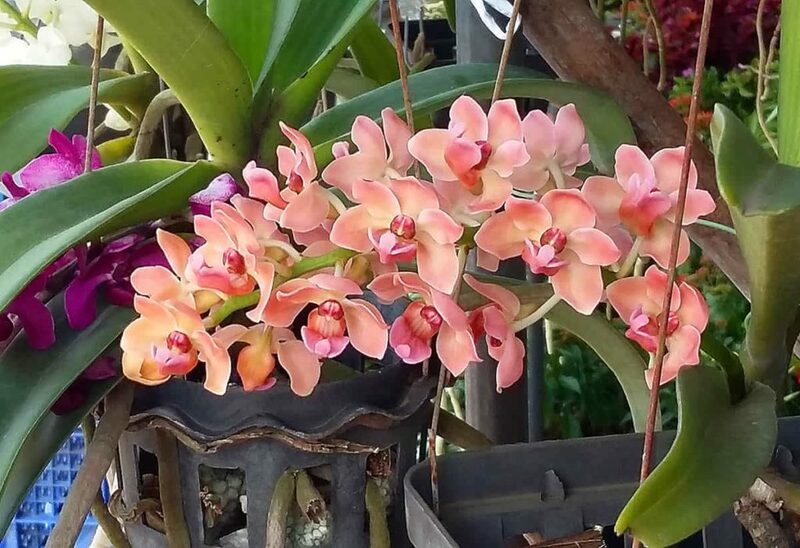 These orchids have a repeated unit shape and form a dense inflorescence. As bricks play an important role in this city, I decided to also use them for this design. Then, I made a small-scale paper model, which I can carry with me and use it to calculate the correct proportions when building the real piece. 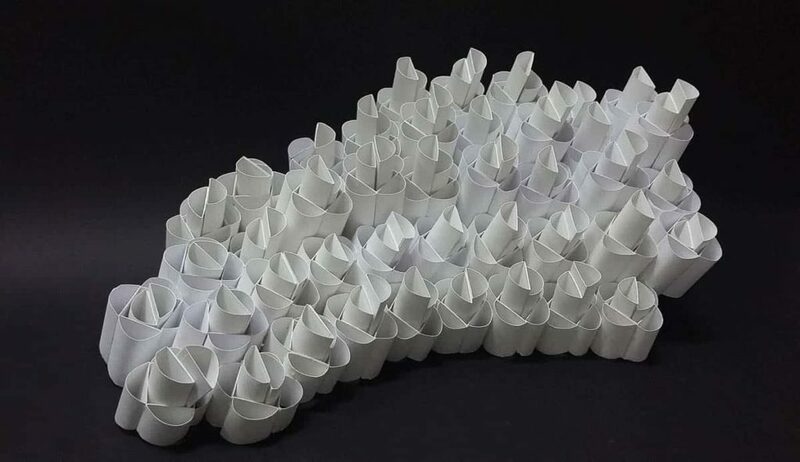 As with any artist who is faced with the task of producing a large-scale works, I came across some difficulties. One of them is that the bricks were not the same as paper that we can glue on and put anywhere we like. 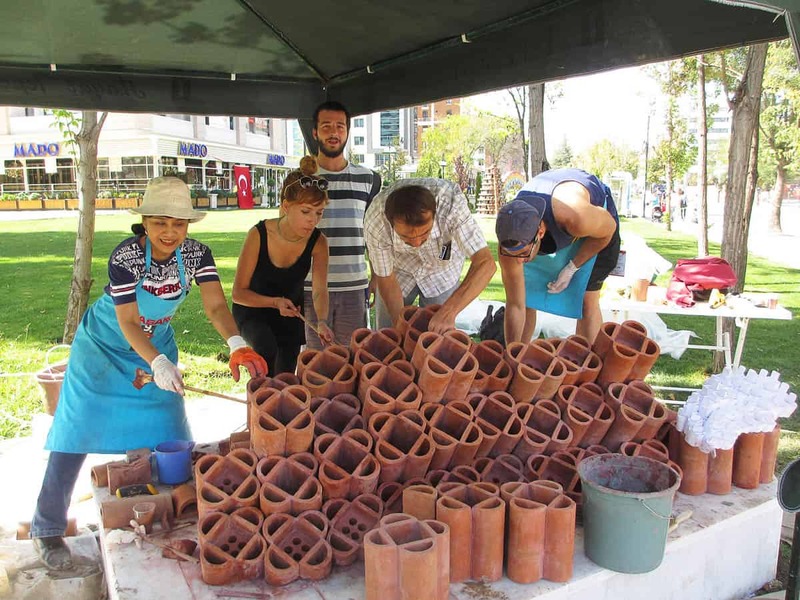 Working with semi-cylinder-shaped bricks, I found that they were not exactly perpendicular. In fact, they are distorted and uneven. It took time to select and group the bricks, file and polish over three hundred loaves of them to fit in the desired shape. I found myself very fortunate to be provided as many as six assistants, but still it took us up to three days to prepare the bricks. 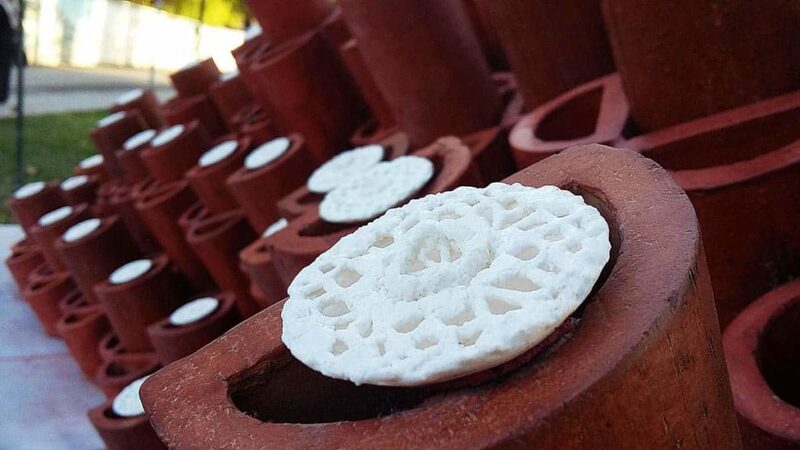 To complete the work, I placed inside the brick the lace ceramic pieces as a kind of pollen. Apart from this sculpture, I also made two more pieces. From 8 o’clock in the morning to 9-10 o’clock at night, each day was truly a moment of joy for a ceramic artist to play with clay and absorb him or herself in the enjoyable activity. I was also impressed by Turkish people who were lively and kind, and I found a way to connect with them somehow. Thai and Turkish people seem to have various things in common: we enjoy music, dance, talking in groups and spending time eating while talking. People are caring and pay attention to details. Moreover, apart from being good helpers, students also paid high respect to their professors. 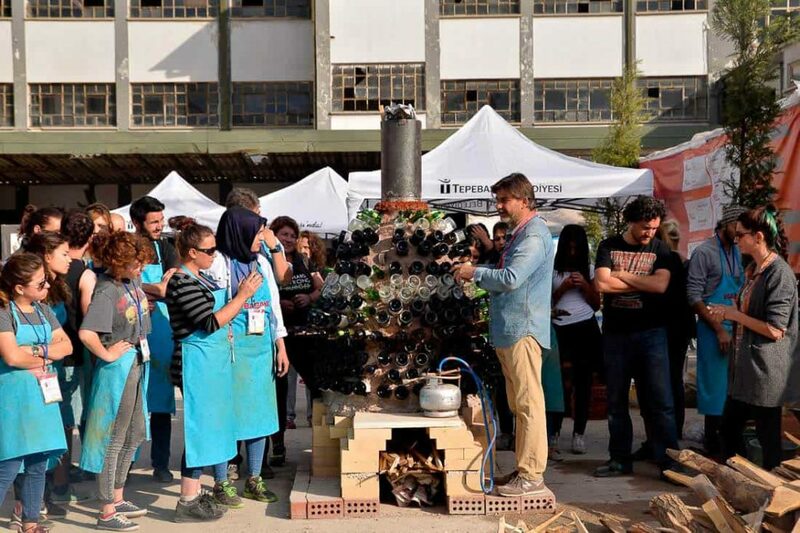 During the event, we also had a one-day trip to Iznik, a tourist attraction located near a large lake almost three-hour drive from Eskisehir. It is a city of porcelain and pottery, a historic landmark. We also visited a pottery village, Kinik in Bilecik, where the Bulgarian immigrants discovered the extraordinary quality of the terracotta. Containers such as water jugs and cups are produced here. The clay in this village has a special ability to filter sediments. If you leave water in it overnight, the clay will absorb the sediments in the surface of the water and turn it into a delicious drink. Presently, this village is in trouble because of the high production costs. The 40-50 pieces they are able to produce per day are sold cheaply, although the process is complicated. 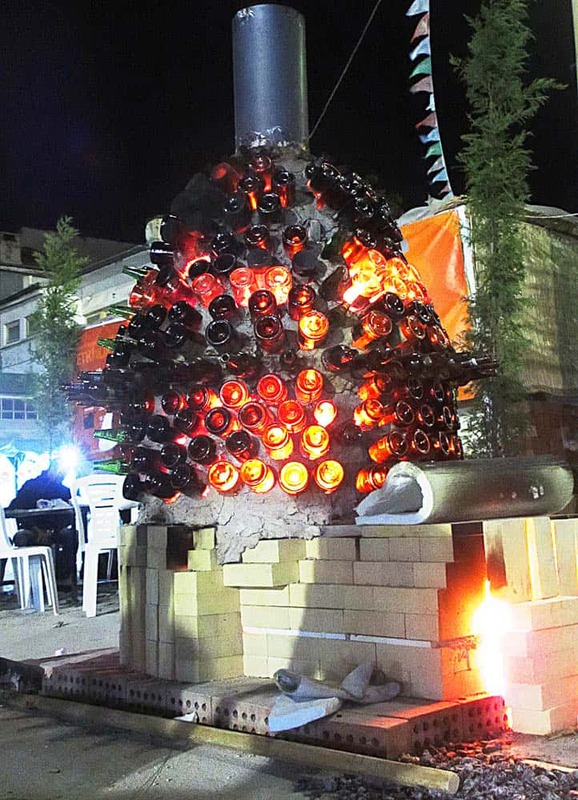 They fire pots in a traditional wood-firing kiln, which takes a whole day each time. 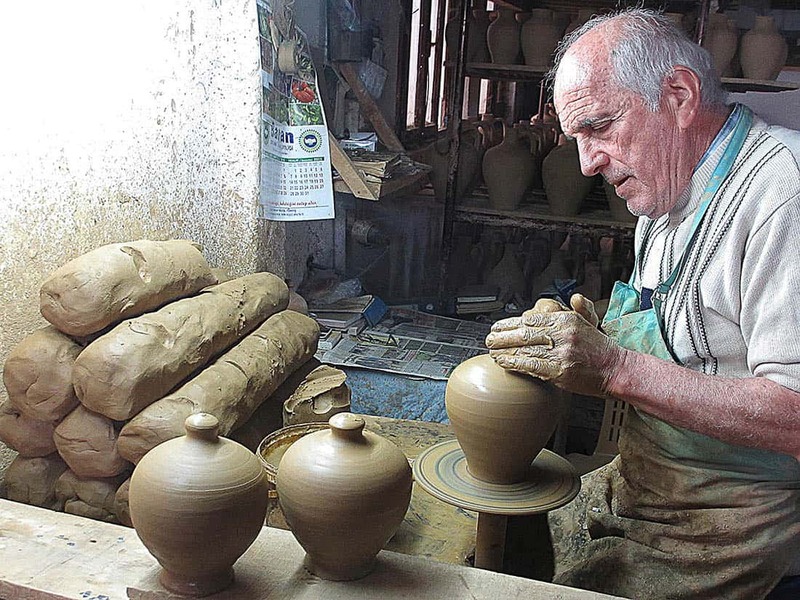 In Thailand, pottery villages also face the same problem. Another place we visited was Ayasofya Camii mosque in Iznik, followed by a bazaar which had some ceramic shops. During the trip, we were accompanied by a group of international young reporters from Spain, Italy, Australia, Sri Lanka and Tunisia, who presented news about the symposium every day. To conclude, this symposium is not just about procedures of art, but more about building the relationship between artists, assistants and people in the city. During fifteen days that I spent in the huge studio, some people visited and commented on our work. I was impressed that even kindergarten students were brought to visit artists’ works. It’s certainly an admirable way to allow young generations to come into contact with art since an early age and develop their own appreciation of aesthetics. Some may say that nowadays the world is narrower because of the omnipresent communication and technology in the digital era, but these factors also offer a wider world of opportunities, a broader ground for cooperation and great friendship. Sukumarl Leksawat was born in Bangkok, Thailand. She has her works of ceramics, watercolour paintings and illustrations displayed in several exhibitions. 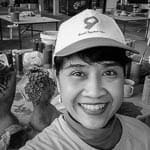 At present, she is an Associate professor at Faculty of Fine and Applied Arts, Chulalongkorn University and currently working on a research focusing on lace ceramic and Mocha ware decoration technique.